Lol guys can you believe it's already June? Time flies y'all. 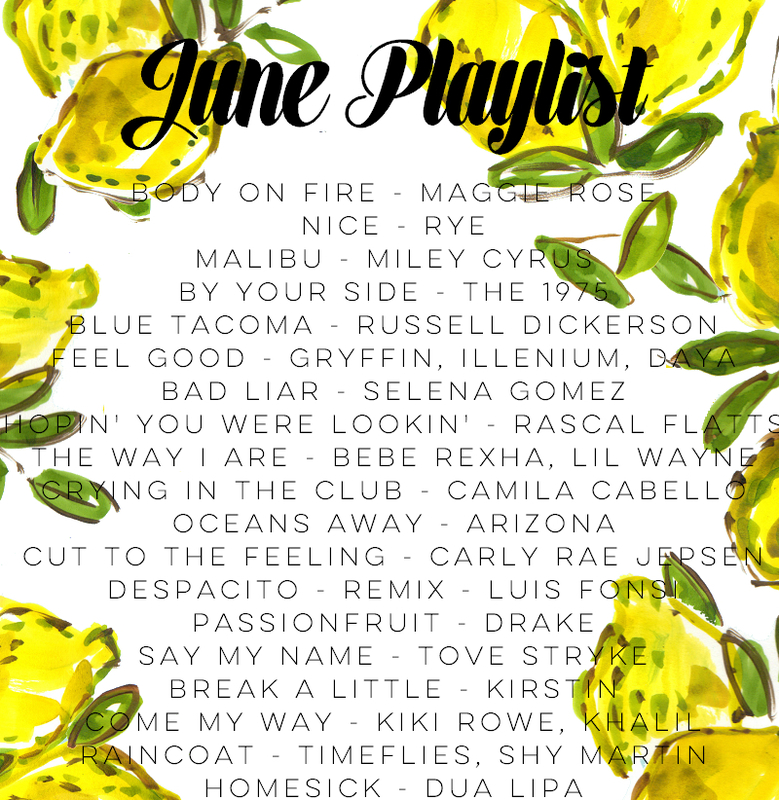 On that note, though, summer is almost here (or already here if you live in the South like me), and that means summer jams! Let's just get this out of the way - I, like everyone else, have been listening to "Despacito" nonstop and still don't know what a word of it means but it's a jam. J Biebs comin' through again y'all. Second, Russell Dickerson's EP "Yours" is actually incredible and you should listen to it ASAP if you like country, because those songs are summer-drive-with-the-windows-down jams if I've ever heard some! Because summer means country music, y'all, and I am pumped - CMA fest is next week here and Nashville and I can hardly contain myself. Peep back here to hear about it!